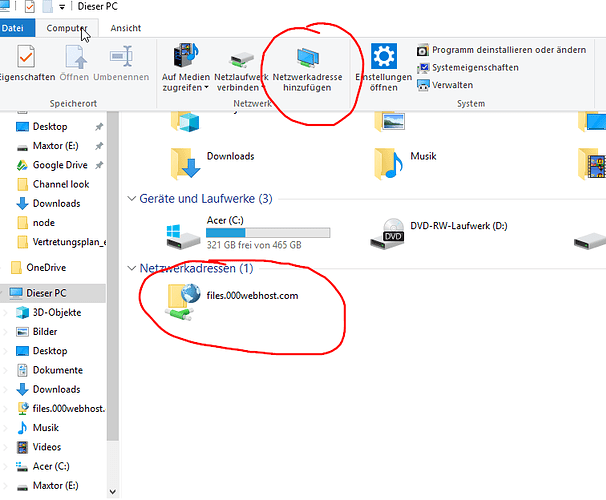 So I have connected the FTP server of my website to my computer via “add network-adress” (shown in the pic below, hope you understand trough the images and position). And deleting stuff via the explorer works fine! However, when I try to put a file in there and upload it, I get the following error message (it basically says that I don’t have the permission to save files on the server). What can I do against that? I have seen many tutorials, but this one exactly represents my needs. I am thankful for any kind of answer! 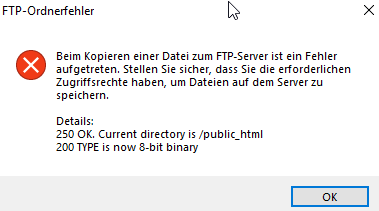 Can you try an FTP client to see if you get the same error? I can’t see why FileZilla would work and you can’t do it with Explorer. You could try the “Repair/fix” option in General Settings while logged into 000webhost.com to see if that does anything? @Infinity I can totally understand the confusion there. The thing is, I am in the process of writing a program that outputs a .txt file to somewhere on the computer. This app will not be used by me, but by someone who knows nothing about programming and just little about computers in general. The point of that program is to AVOID having to go into FileZilla or the datamanager. Yep if you try the repair option to see if Explorer starts allowing uploads? Edit: Doens’t seem to work. And it makes sense. I would have to somehow allow anyone to write in my public_html folder. I tried that over the file manager even that didn’t help. So when you connect it does ask for username and password yeah? What type of files have you tried to upload? OMG. I created a new folder and pasted something into it… it worked! Granted, I still can’t create new stuff but it’s a beginning. 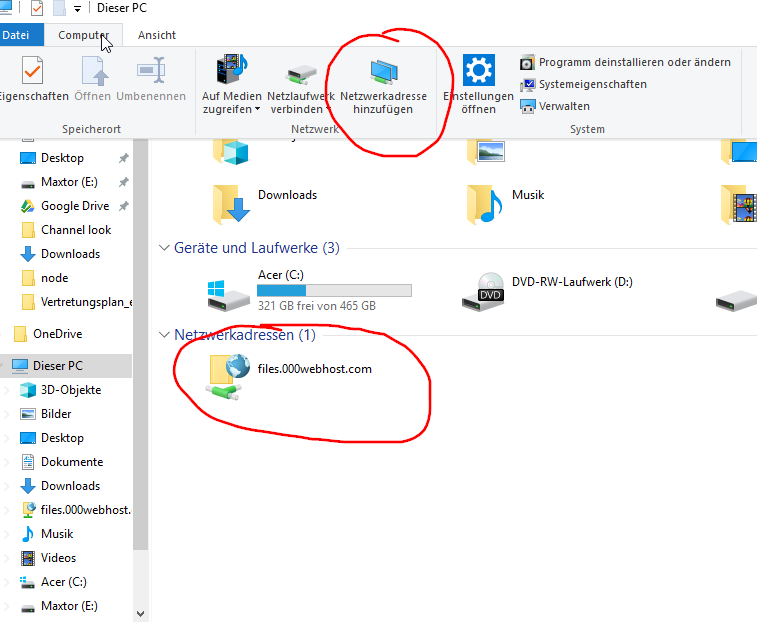 So yeah I’ve managed to connect to FTP, I can pull files onto the explorer window and they upload without issue, if I click new I can only make new folders. You could use batch scripts to upload a set file to FTP server if you are going to just have set files to upload, then you could just have upload Upload1.bat Upload2.bat on the desktop, click the batch file and it will do the work of connecting and uploading and closing the window afterwards? Uploaded all the files inside the folder Properties to my public_html and closed after doing so? No that is my example, change the lcd line to your local directory of files you want uploaded.